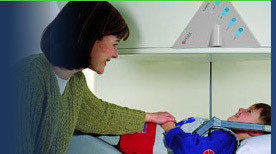 University Diagnostic Institute is a free-standing imaging center conveniently located on the USF campus. We believe the manner in which our patients are served and the quality of care make all the difference. Our team is comprised of highly qualified and caring professionals who strive to provide excellent service every step of the way. Radiological and Neuroradiological physicians are on site during all working hours and supervise all examinations. All of our interpreting physicians are Licensed to practice medicine in Florida, are Board Certified by the American College of Radiology. In addition, several are senior members of the American Society of Neuroradiology and have Certificates of Added Qualification (CAQ) in Neuroradiology.